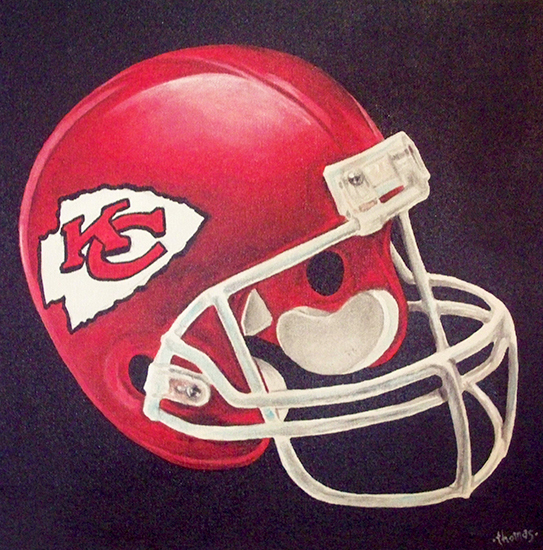 Thought I’s stick with the sports artwork and show another one of my paintings that was done last year. Needed to show Kansas City some love. I’ve painted a few of these helmets in the past. Really should get a better picture taken of this one.